While the title of this debate describes Independent Public Schools as a Liberal Government initiative it is important to acknowledge that the desire to give government schools increased autonomy and flexibility has the support of both major political parties. The then PM went on to argue that the purpose of the reform was “to ensure the core decisions that make the most difference to student outcomes are devolved to schools”. Secondly, while recent initiatives like the Western Australian Government’s Independent Public Schools (IPS) are in the news, it is also important to understand that school autonomy has a relatively long history in Australia. In the 60s and 70s many government schools in and around Melbourne chose their own staff, developed their own curriculum and were free from centralised management and control. Such schools were supported by the left-of-centre teacher union, the Victorian Secondary Teachers Association (VSTA), and were considered at the ‘leading edge’ of educational reform. Often described as community schools, they included: Sydney Road, Moreland Annexe and Swinburne Annexe. Innovations included: alternative year 12 pathways and school-based certificates, general studies, non-competitive assessment and a curriculum based on local needs. The pedagogical and curriculum approaches, at a time when the traditional, competitive, academic curriculum reigned supreme, drew on radical educators like Neil Postman, Paulo Freire and the de-schooling movement. The Victorian Government’s decision, during the mid-80s, to open a new style of government secondary school blending the technical and the high school traditions provides a second example of school autonomy predating Independent Public Schools. These government post-primary schools, such as St Helena Secondary College, were given the power to appoint their own staff, design their own buildings and determine their own curriculum. As one of the first group of teachers appointed to the St Helena I can attest to the excitement, motivation and sense of collegiality that developed as we were freed from external constraints. Privately managed schools in disadvantaged slum areas in Indian cities like Calcutta and Bombay (see James Tooley’s book The Beautiful Tree: a personal journey into how the world’s poorest people are educating themselves). Before addressing the question of whether giving government schools increased autonomy will raise standards, I’d like to make a number of observations. Firstly, and as noted by a report by the Victorian Competition and Efficiency Commission, titled Making the Grade: Autonomy and Accountability in Victorian Schools, autonomy has a range of benefits in addition to whether standards, as measured by tests such as NAPLAN, improve or not. Possible benefits include: strengthening the ability of principals and school leaders to better manage their schools, thus, improving teacher quality and effectiveness; promoting increased transparency and innovation and using resources more efficiently. Secondly, giving schools and their communities greater control and reducing the power of governments and their bureaucracies based on the concept of subsidiarity, according to Catholic social theory, is an inherent good. The principle that ‘decisions are far as practicable are made by those most affected’ is empowering as it acknowledges that teachers, students, school leaders and parents, generally speaking, have a far more realistic and credible understanding on what it is that makes their school unique. Providing greater flexibility and control at the local level is also more efficient. Illustrated by the roll out of the Building the Education Revolution (BER) program non-government schools, because of their autonomy and because they were not controlled by head office, achieved better outcomes for students and school communities when compared to government schools. And, thirdly, based on the example of Catholic and independent schools, that are able to achieve stronger educational outcomes compared to many government schools even after adjusting for students’ socioeconomic background, it is possible to argue that autonomy is beneficial. Non-government schools, by their very nature, are able to select staff, manage their own budgets and set their own curriculum focus – within general guidelines. While not all agree that autonomy will lead to stronger outcomes there is increasing evidence, if done properly and recognising that not all schools or schools systems both here and overseas have the same potential to benefit, that autonomy raises standards. In a 2010 paper titled, How much do educational outcomes matter in OECD countries? E Hanushek and L Woessmann conclude, “In particular, evidence from both within and across countries points to the positive impact of competition among schools, of accountability and student testing, and of local school autonomy in decision making”. The OCED’s PISA In Focus No 9, dated October 2011, states, “In countries where schools have greater autonomy over what is taught and how students are assessed, students tend to perform better”. “Our central findings are consistent with the interpretation that autonomy reforms improve student achievement…” and “…in high-income countries, increased autonomy over academic content, personal, and budgets exerts positive effects on student achievement”. Research by Caroline Hoxby in the US and Patrick Wolfe’s evaluation of the Milwaukee and Washington DC school voucher programs (of which school autonomy is an important element) also suggest that school autonomy is beneficial. The fact that school autonomy, when implemented in a considered and balanced way and sensitive to the ability of schools to take up the challenge, is worthwhile is recognized by the Making the Grade report referred to earlier. It concludes, “…notwithstanding the evidential uncertainties (chapter 3), the debate is not in fact about whether their should be devolved decision making. Rather it is about how it should extend, through what means it should be given effect, and what accountabilities are required”. And now, to return to the topic of today’s debate: “That the Liberal Government’s policy of independent public schools will raise education standards in Australia”. Based on the example of the Western Australia’s Independent Public Schools, it is too early to tell. As noted by the evaluation carried out by the Centre for Program Evaluation at the University of Melbourne, “In this early phase of the IPS development there is little evidence of changes to student outcomes”. The evaluation does note, though, that principals and teachers involved in the IPS program are positive and optimistic. IPS teachers, in particular, feel more professional, accountable and in control of their careers – leading to an increased sense of self-worth. At a time when many teachers feel devalued and beginning teachers, in particular, express concerns about teaching as a career anything that can be done, such as increasing school autonomy, that is considered positively should be welcomed. Some rebuttals related to arguments put by Professor Alan Reid – in no particular order. Contrary to what Reid argues I do not support privatising government schools and running schools as profit/loss commercial enterprises. Government schools are not open to all – selective schools enrol only those students who pass the entrance test and not all parents are wealthy enough to buy expensive homes in the enrolment zones of much sought after government schools. Catholic and independent schools, and not just government schools, contribute to the common good. In fact, research both here and overseas suggests that Catholic schools, in particular, are effective at strengthening social capital and students from such schools experience less racism and are more likely to volunteer. I have previously acknowledged that autonomy is not a universal panacea – in a newspaper comment piece in the Fairfax Press, dated August 2, 2013, I state, “Of course, to argue for autonomy, diversity and choice doesn’t mean all schools and their communities are ready to take on the challenge”. In my ACSA speech I referred to the very recently implemented New Zealand school autonomy initiative involving Partnership Schools. Professor Reid, when criticizing me, confuses this new initiative with the older Tomorrow’s Schools initiative. In answer to the argument that school autonomy leads to greater inequity and disadvantage the report School Accountability, Autonomy, Choice, and the Equity of Student Achievement: International Evidence from PISA 2003 suggests the opposite is the case. It states, “The main empirical result is that rather than harming disadvantaged students, accountability, autonomy, and school choice appear to be a tides that lift all boats”. Finally, and contrary to Reid’s argument that advocates of schools autonomy are mainly economists, as published in the Courier Mail the day before the ACSA debate, a survey of 804 Australian principals concluded that there is “an appetite” for more autonomy. Dr Donnelly is a Senior Research Fellow at the Australian Catholic University and Director of the Education Standards Institute. Kevin taught for 18 years in government and non-government schools. The Abbott Government’s policy of ‘independent public schools’ will lower standards and widen inequalities in Australian schools. We enjoy a high quality public education system in Australia, however we should constantly be trying to raise education standards. There is always room for improvement, and we have a particular need to address educational disadvantage across our nation. Importantly any educational policies we implement should benefit all, not some, Australian children and certainly should not take us backwards. I believe the Abbott Government’s policy of Independent Public Schools (IPS) is a flawed policy that will do exactly that. It is important to recognise that the concept of ‘independent public schools’ is not synonomous with the current model in Western Australia which carries the same name. Rather it is a broad concept which embodies the philosophy of choice and competition in an education free-market. There are various versions of IPS. The central attribute of independent public schools is autonomy. From the case put by Kevin Donnelly (co-chair of Christopher Pyne’s National Curriculum Review ) and from the literature on IPS, it is clear that autonomy can range from approaches which seek to fully privatise public schools, turning them into for-profit institutions run by companies, community bodies or individuals (Kevin Donnelly appears to be a great supporter of this notion of autonomy); to those which seek to maximise the ‘autonomy’ of the principal and the School Board to manage finances, allocate resources, appoint staff and maintain buildings and facilities, while remaining within a public system (this is Minister Pyne’s version). What is common to both versions are the values of choice and competition. Parents and students are understood to be consumers making educational choices in a free-market. Principals and School Boards are charged with the task of maintaining and increasing market share. It is claimed that this fosters competition between schools as they vie for custom, so promoting educational quality. I will argue that no matter which version is adopted, it will advantage some Australian children at the expense of others and will take us backwards in our quest to address educational disadvantage. Worse, I believe it will actually lower educational standards in Australia. The idea of public schools being ‘independent’ is philosophically at odds with what lies at the core of public education. Public schools are the cornerstone of our education system. They exist in every community in Australia and take all-comers. They are state-owned and funded from the taxes we pay, so they belong to all of us, helping to develop our young as individuals, community members, workers and citizens. Public schools are microcosms of the community at large, with students coming from a wide range of social and cultural backgrounds. In this melting pot students are able to learn from and with one another about diversity and difference, and learn tolerance and empathy. In short, public schools promote the common good. Not to recognise this dimension of public schools is to miss the essence of public education. 1. It establishes public schools as businesses. The purpose is to compete to advance the interests of the school regardless of the impact on other schools. The fact is that public schools are not businesses. They are community goods serving public purposes. When they operate as full or quasi-businesses, the most successful are rewarded, and the least successful – invariably those with the least cultural and financial resources – go to the wall. In this way, an IPS agenda confirms and exacerbates inequalities between schools. A lot of time and money is spent on publicity and marketing at the expense of educational outcomes. This sets up principals as employers, marketers and business managers, rather than as educational leaders. 2. It allows governments to escape their responsibilities by placing greater burdens on schools, often reducing resources while setting performance targets, and then blaming schools if they are not achieved. It also exponentially raises workload as things previously done centrally or by regions are done by Principals and teachers. 3. It destroys the sense of local community engagement with each school, not just the parent community but also where the school uses the community as a learning resource and for community activities. When parents choose schools far away from the local community in which they reside the link between public schools and their local communities is weakened. It encourages parents to simply leave a school when there are perceived issues, rather than stay, work through the issues, and help to build the school. 4. It promotes schools as stand-alone entities rather than as belonging to a system. True public schools aren’t independent, they are networked; and they cooperate to build a quality public system overall, not compete to create a system where there are shining beacons of success sitting alongside schools which are struggling or failing. True public schools are fuelled by a sense of mutual obligation, not self-interest. Not all autonomy is bad. I support autonomy where it means providing greater flexibility for schools (eg., greater curriculum freedom), but within a set of values which are consistent with a public system which fosters the common good. Flexibility can be used by each school to maximise educational quality in the school, but also to collaborate across schools to make better schools and a better system for all. So where is the evidence that Independent Public Schools will improve standards? IPS is a policy in search of evidence. To start there are significant issues associated with the research methodology used by those promoting IPS. It is not sufficient to google a few studies which appear to support a pre-determined position, without evaluating the rigour of that research and the ways in which it is used. Kevin doesn’t bother to differentiate between different forms of autonomy. He simply draws from and generalises across the autonomy continuum, randomly using examples from fully privatised public school models to quasi-private models. This is problematic, to say the least. Kevin generalises from research conducted in a range of countries and cultures assuming that if it works in one context it will work in another. This of course is a basic research error. There are real problems in taking research findings from one cultural setting and transferring them to a completely different policy approach in another cultural setting, as though the findings are tablets of undeniable wisdom which are universally applicable. Most of the researchers that Kevin quotes (eg Hanushek, Woessmann, Hoxby, Fuchs) are not educators – they are Professors of Economics. Invariably the research is statistical where the sole measure of education quality is narrow standardised test results – it tells us nothing about key aspects of education quality such as the nature of relationships, school environment or community engagement, let alone learning areas such as the arts and technology. The most damning flaw is that Kevin assumes correlation implies causation. He seems to think that wherever there is a ‘good’ educational outcome in the presence of school autonomy, then there is a causal relationship, even if that has not been the focus of the research. This is a grievous research error. These research flaws are significant issues for public policy claiming to be ‘evidence-based’. However, for the sake of the debate, let’s assume that such research does tell us something about the effects of autonomy that can be applied in Australia. Even then the evidence doesn’t stack-up. ….school systems that grant more autonomy to schools to define and elaborate their curricula and assessments tend to perform better than systems that don’t grant such autonomy…. In contrast, greater responsibility in managing resources appears to be unrelated to a school system’s overall performance’ (PISA 2009 Results: What Makes Schools Successful? – Resources, Policies and Practices, Vol. 4: 52). This of course is the complete opposite to what Minister Pyne is proposing. In his policy the focus is on managing budgets and resources. Far from giving more curriculum freedom as the PISA research suggest should happen, schools must conform to state and national system-wide curriculum guidelines. Clearly the PISA research won’t help the IPS case. So what other international evidence is there? Kevin uses overseas examples of school ‘autonomy’ in places as varied as the United States, UK, and Africa. In the main, this evidence comes from the extreme ‘privatising public education’ end of the autonomy continuum. This includes models like Charter schools in the United States and Free Schools in England and Sweden, where governments have outsourced the operation of public schools to private corporations, individuals, community organisations, and so on. These schools seek to attract students from traditional public schools across large areas of cities, promising miraculous results. Well, at best there is mixed evidence that these schools improve educational outcomes; and a lot of evidence about a number of troubling long term effects of unbridled autonomy, not the least of which is that it tends to exacerbate educational inequality. I can give you examples from each of the countries Kevin has named, but I will largely confine myself to Charter schools in the US. Charter schools in the US receive public funding but are bound by an individual school charter and not by government regulations that apply to state schools. Started about 25 years ago, they are run by education management organisations and not-for-profit groups. They have sought to reduce costs by hiring less experienced teachers; paying teachers and staff less, increasing class sizes, and standardising curriculum. Many pride themselves as having a ‘back to basics’ approach, with constant assessment and performance pay for teachers. By 2012, there were approximately 6000 charter schools with over 2 million students in the US. It is precisely because the charter sector is comprised of thousands of different entities, it is difficult to generalise about them. They range from schools which run like boot camps, to those which boast progressive pedagogies of the sort despised by Kevin. As usual, the studies rely on standardised test results. In terms of student learning outcomes, the best that can be said about Charter schools is that the results are very mixed. Most studies conclude that on average the scores on standardised tests are no different if charter schools and public schools enrol the same kinds of children. ..a decent fraction of charter schools, 17%, provide superior education opportunities for their students. Nearly half of the Charter schools nationwide have results that are no different from the local public school options, and over a third, 37%, deliver learning results that are significantly worse than their students would have realised had they remained in traditional public schools. This report was consistent with the results of five independent government reports completed between 2003 and 2007. It is possible to find studies which show that Charter schools have improved educational outcomes, such as research by Caroline Hoxby in New York, and the most recent CREDO report (2013), but the research methods used by both have come under strong criticism. However, for every piece of research that Kevin cites, I can produce research which shows the opposite. For these reasons it is pointless to cherry pick research to make the case one way or the other, without looking at the rigour of the research. You can’t just google and quote. The adverse effects of Charter schools which have become big business in the US. In order to attract custom and improve results, many exclude the weakest students, and enrol lower proportions of disability students and English language learners than traditional public schools. One Charter school in Washington DC had an expulsion rate 28 times as high as the local public schools. Many hire unqualified teachers, and spend more on administration and less on teaching than traditional public schools. A number have been mixed up in shady real estate deals, and been closed down because of corruption, embezzlement or bankruptcy. A number of research studies demonstrate that Charter schools diminish three of the most powerful characteristics of public education: diversity, community and collaboration. First, they tend to segregate by race and class. Charter schools are more racially segregated than traditional public schools in virtually every state and large metropolitan area in the US. In some areas white students are overrepresented in charter schools while in other charter schools Black and Hispanic students have little exposure to white students. Second, they destroy local community involvement in public schools as children travel across cities to get to their school of choice. Third, they have severed any sense of a supportive public system. In an era of high stakes testing, Charter Schools compete, not collaborate with, their public school peers. The failure of Free Schools, a similar model, in the United Kingdom. Three years ago the UK Minister of Education, Michael Gove established hundreds of Free Schools citing the usual claims that giving principals the power to hire and fire staff, would cause standards to rise. In fact, it seems to be going the other way. A recent OFSTED report shows that the failure rate of free schools is running at three times the national average for state-funded schools. Overall about 78% of state schools are rated as good or outstanding by OFSTED, compared with 68% of Free Schools. Tomorrow’s Schools in New Zealand are not a success story. maintaining and widening large gaps in student achievement between rich and poor, with no gains in student achievement overall. Wiley suggests a return to more central and regional support for schools in New Zealand. Lack of Australian evidence that school autonomy improves outcomes. On autonomy, Australia and other countries have the wrong strategy. The world’s best systems have varying levels of autonomy. But it is not central to their reforms. …..Autonomous schools in Australia and other countries are no better at implementing these programs than are centralised schools (from Myth of Markets). The same conclusion has been reached in a number of other Australian studies. The Productivity Commission’s 2013 report reviewed the literature on autonomy and found ‘… mixed impacts from delegating decision-making authority to schools’; and that greater autonomy for schools is associated with an exacerbation of inequalities. Kevin has given us another angle on the Australian evidence – the claim that private schools perform better in terms of student outcomes than public schools, and that this can be put down to their greater level of ‘autonomy’. Not only has he again attributed causation by simple correlation without the research evidence, but his basic premise is wrong. Recent Australian studies contest the premise. Chris Ryan for example in a research study published last year in the Economics of Education Review examines the decline in student achievement as measured by PISA results over the last decade, and found that declines in maths and reading literacy were more apparent in private schools than in state schools. Other studies – such as Luke Connolly’s research using the 2008 and 2010 NAPLAN results of 15,000 year 5 students and 11,000 year 3 students have found that the NAPLAN scores of students from Catholic and other private schools did not statistically differ from those in public schools – after controlling for factors like household income, health indicators and parent education levels. The West Australia’s model of ‘independent public schools’ is not evidence that IPS works. At first, Minister Pyne claimed IPS had improved student outcomes in Western Australia. Howevere Melbourne University was commissioned last year to conduct an evaluation of the early years of the IPS reform. Their report stated very clearly that up to now ‘… there is little evidence of changes to students outcomes …’ (and indeed they reported many teachers saying that there had been ‘no change in teaching practice’ since their school had become ‘independent’). Undeterred by this set-back, Minister Pyne recently turned to his latest evidential life-boat – the small increase in the proportion of students attending public schools in Western Australia which he claims points to the success of IPS. But once again the evidence fails him. The fact is that over the past three years the mining boom in WA has produced an estimated increase in the population of about 1500 per week, with a consequent increase in the school population of about 10,000 per year. It is this increase which has produced the growth in numbers in public schools, not IPS. And the increase has been across the board in schools which are non-IPS and IPS. Grasping at disconnected fragments of evidence to justify already-determined policy is not the way educational policy should be made. Treating public education as though it is a business designed to make profits rather than a public good which benefits the entire community is to betray its essence. The strength of our public schools depends on their collectivity, cohesion, connection to community, collaboration, and diversity. Destroying these characteristics will not raise standards, it must lower them and widen the inequalities which currently exist in our schools and the wider society. The policy of IPS could irreparably harm our public education system which is so central to the development of Australian society and its democracy. 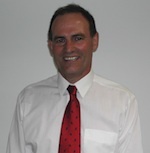 Professor Alan Reid AM is Professor Emeritus of Education at the University of South Australia. His research interests include education policy, curriculum change, social justice and education, and the history and politics of public education. He has published widely in these areas and gives many talks and papers to professional groups, nationally and internationally. Alan presented the Radford Lecture at the AARE annual conference in December 2012.